Shoe Palace has been pulling out all the stops when it comes to commemorating their 25th year in business. 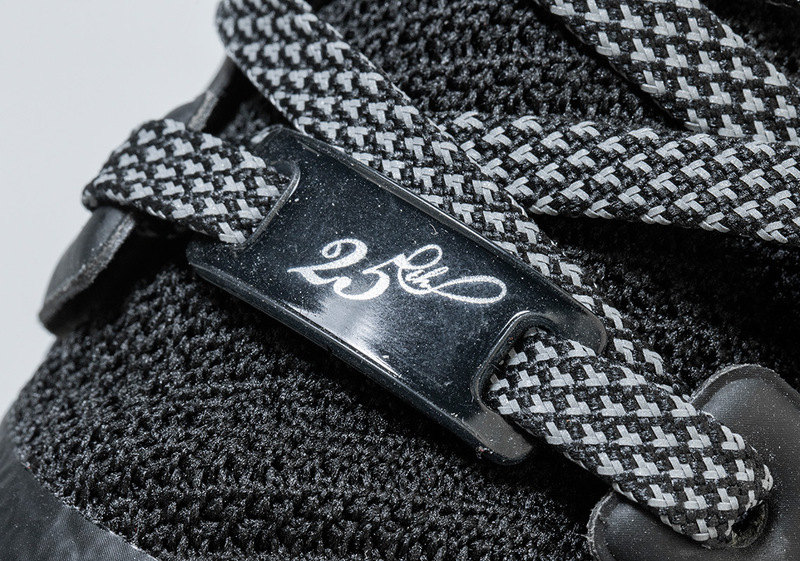 They’ve came a long way since opening a single store back in 1993, growing to one of the most recognizable retailers in the world of sneakers today. 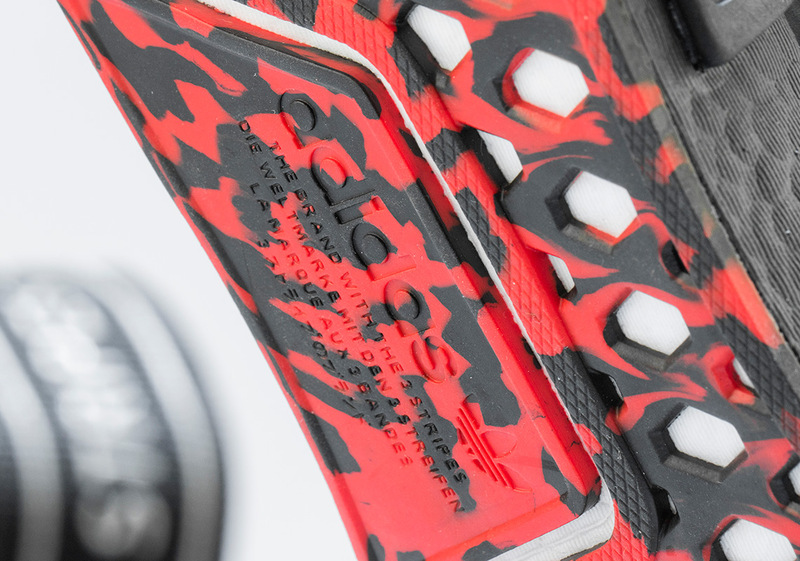 As part of this year-long celebration, they’ve collaborated with almost every relevant shoe brand in the industry today to ensure the anniversary year is an extra-special one. Next up in this streak of partnerships is adidas Originals, and they’ve offered a unique take on one of their most well-known silhouettes: the beloved adidas NMD R1. This milestone releases honors the official colors of the shope with a black mesh as the base, while the midfoot’s reflective three stripe graphic features a trifecta of the heritage colors. Further red detailing arrives via a single wide stitch around the collar/tongue and flecked grey laces, while 25 long years are acknowledged by a special lace dubrae. 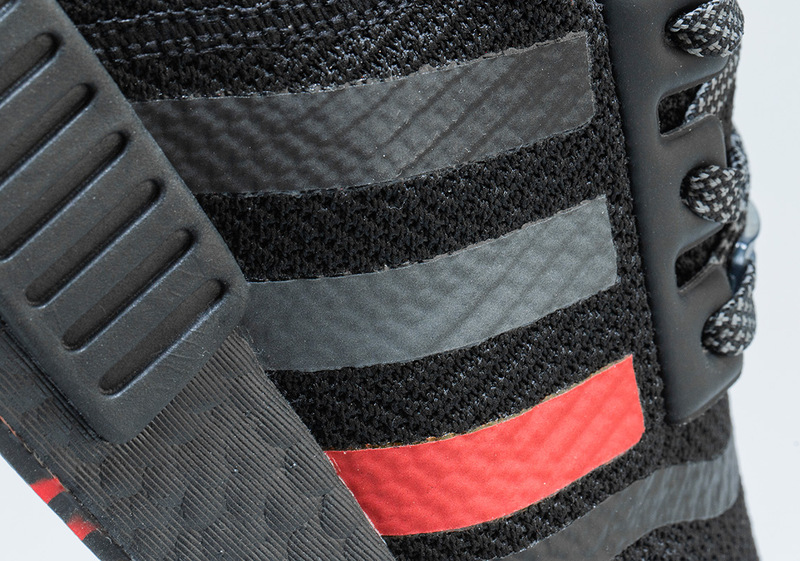 A black Boost midsole and black bricks — one with special red detailing — provide a tonal contrast, and a striking marbled pattern then appears on the outsole to complete. This special collaboration is available Saturday exclusively at Shoe Palace for $130 USD. 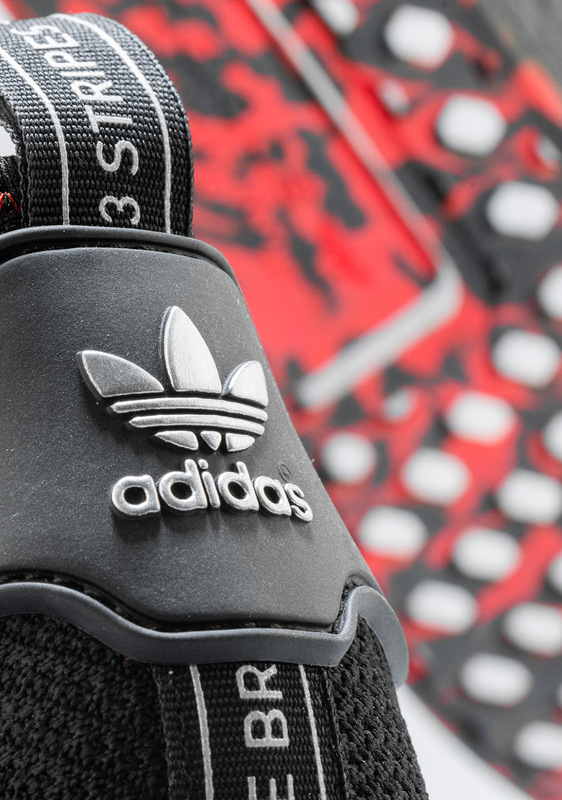 The post Shoe Palace Continues 25th Anniversary Milestone With An adidas NMD R1 Collaboration appeared first on Sneaker News.